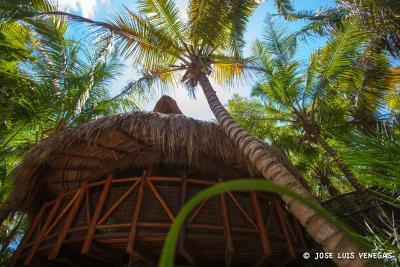 Lock in a great price for Sueños Tulum – rated 9.4 by recent guests! 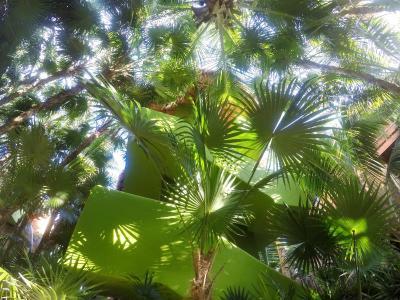 The hotel grounds are beautiful, you feel like you are in a forest with so much nature around. The views from breakfast bar are breath taking, and the rooms were very nice. Hotel is small so you get to know the staff well. They are amazing and will do anything to help you enjoy your time there. The room and it’s view we’re gorgeous. A/C worked perfectly (at night only). The staff and grounds were incredible—shout out to Miguel who remembered my allergies and our preferences (más café) from the first day forward. The beach and hotel were quiet and peaceful. We couldn’t have asked for a more relaxing place to unwind. Breakfast was healthy (fruit plate, croissants, yoghurt, granola, coffee, juice) with tables facing the ocean, day beds on the beach were comfortable, the pool was clean and refreshing, electronic entry to the rooms using a wristband was super handy (no forgetting room keys) and you could swim with them on. Room had an easy to use safe. The staff were extremely friendly and knew us by name when we arrived. Everything about the trip was amazing and very relaxing. 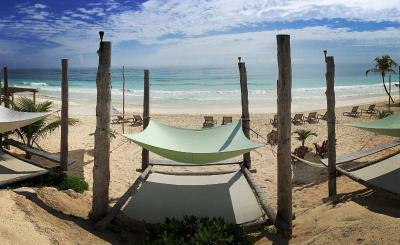 The beach area rivaled that of any hotel on Tulum Beach. The cervezas were ice cold, the food was delicious, and the water safe to drink. Lobo, the resident dog (very good boy), played a mean game of fetch with a coconut on the beach. The staff were extremely gentle and nice. My boyfriend asked the staff to decorate my room for my birthday, and they did so, and worked on it for two hours to get it done, Everyone is so decicated and hard working and nice! Staff extra friendly like friends especially to children. Beautiful artistry and submerged with nature and cares about our earth! Two dogs super friendly and cute. The staff was extremely accommodating and the location is beautiful. Our toddler loved it (especially the resident dog Lobo and the homemade smoothies). The rooms were extremely clean and comfortable. The bed was very comfortable and in-room hammock was also great for a nap or lounging. It's a magical place! The bed was soft, the hammock in the room was a dream, the food was delicious, the staff was amazing and the grounds are exceptional! It often takes time to unwind from stressful life. Not here. The minute our feet hit the grounds of Sueños we arrived. Happy times. Amazing and relaxing place, great and friendly people, great breakfast, just the best. 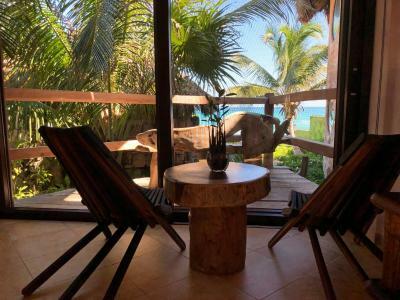 Sueños Tulum This rating is a reflection of how the property compares to the industry standard when it comes to price, facilities and services available. It's based on a self-evaluation by the property. Use this rating to help choose your stay! Located right on the beach, Sueños Tulum features an outdoor swimming pool, spa treatments, yoga classes and free Wi-Fi. This hotel is only a 10-minute drive from the Mayan ruins. The tropical-style suites at this beachfront hotel feature a balcony with sea views, a fan and private bathrooms with a shower, toilet and free toiletries. Sueños Tulum features an on-site bar and restaurant serving local cuisine for guests only, and there are other dining options within walking distance of the property. The Coba archaeological site is a one-hour drive from this property, and the Siaa Kaan biological reserve is just over half a mile away. Cancun’s International Airport is a 1.5-hour drive from this property. 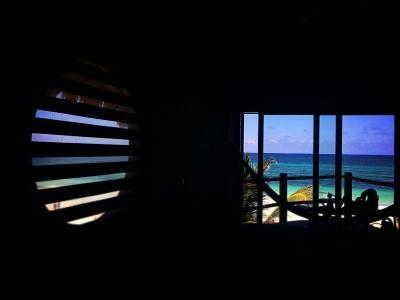 When would you like to stay at Sueños Tulum? This suite is located on the second floor and features a ceiling fan and a balcony with sea views. It also offers a safety-deposit box and a private bathroom with a shower, toilet and free toiletries. This room can accept just guests over 18 years old. This suite is located on the top floor and offers a furnished balcony with exceptional sea views. It also features a fan, a safety-deposit box and a private bathroom with a toilet, shower and free toiletries. This suite features an outdoor terrace with a sitting area and views of the gardens. It also has a safe and a private bathroom with a shower, toilet and free toiletries. House Rules Sueños Tulum takes special requests – add in the next step! One additional older child or adult is charged USD 40 per person per night when using existing beds. Sueños Tulum accepts these cards and reserves the right to temporarily hold an amount prior to arrival. Important information Air conditioning is only available from 8 pm to 8 am. There is one electrical outlet in the suite, and electricity in the suites is available 24/7. This property uses solar panels to provide electricity during the day. Please note that there is a charging station in reception where guest can charge devices anytime. Food at the hotel is limited. It is one small restaurant with limited menu and hours. There is always sand on the tables and/or on the chairs no one bare to clean or just wipe it out. I have checked in at midnight and asked for a discount but they refused it,,, in addition after i checked out i get a bottle of water from the bar and i paid for it also they didnt even consider as a gift. Total dissappoint as behaviour for the general tourist relations. This hotel for me like bed and breakfast but very expensive one. The hotel can be preferred as its location and natural beauty only. Staff were great. 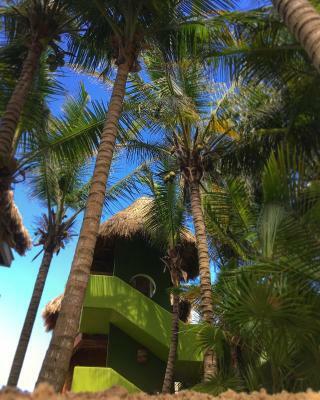 We absolutely loved our stay at Sueños Tulum! The staff made us feel at home.The bedroom was beautiful! The location was perfect! If you are looking for a romantic getaway, look no further. I definitely recommend this hotel! Just a lovely hotel, might be the best vacation experience we ever had. Special shout out to Antonio, Miguel and Herman since they were excellent during our stay. Highly recommended! Lovely environment and excellent service. Also very chill which some places on the area are not. We had issues with the plumbing on our toilet, but was expected in Mexico. Beach was full of seaweed and no music. Private beach and small very attentive staff.